Marijuana charges can leave you with a permanent criminal record. Some communities have laws that allow forfeiture or the seizing and taking of a vehicle involved with an alleged marijuana crime. A Tampa marijuana Lawyer who is Board Certified as a Criminal Trial Lawyer, can help save you and your vehicle when there are drug charges including cannabis a/k/a "weed." Isn't Marijuana Legal in Florida? No - the Drug Remains Illegal absent a Compassionate Use Card issued upon recommendation of a doctor. With all the media attention on the ballot issue in November, people may still forget that Cannabis / Marijuana is still a violation of Chapter 893 of the Florida Statutes. Stories of a typical drug bust can be found here. Legal Issues of constructive possession, knowledge, dominion and control, lack of a search warrant, and probable cause still remain issues to be challenged and presented to the court, the prosecutor or a Jury. If and when the law on medical marijuana changes, the drug remains a controlled substance under both State and Federal laws. Can Marijuana Charges be Dropped? Yes, Florida Drug Court Criminal Defense Attorney, Lawyer Casey Ebsary of Tampa helps with, Marijuana, cocaine, prescription, and other drug charges that can be dropped. We have experience and training as both a drug court Prosecutor and is on the defense side helping people navigate treacherous waters when drug charges are at hand. Call 813-222-2220 for a free consultation at no cost or obligation. Notice: Under Florida law all drug convictions can result in a 2-year (24 month) suspension of driver's license. We defend cannabis charges in the following Tampa Bay area Florida counties: Hillsborough County, Pasco County, Pinellas County, and Polk County. Possible defenses include search and seizure, constructive possession, invalid search warrants, invalid pat-downs, and Miranda violations, to name a few. You can search this site by entering your question in to the search bar at the top of the right column or below to find more information about defenses that can be used. We have hundreds of pages of information on Florida Drug Laws and Florida Marijuana and Drug Law News. This site is one of the largest sites on the web devoted to Florida Marijuana and Drug Law News and information. Florida Courts Do Not Require and Expert or a Lab Test to Prove Possession Charges or to establish the chemical makeup of Cannabis or Marijuana. The field presumptive test and the testimony of the arresting officer is all they need. "the possession of not more than 20 grams of cannabis, as defined in this chapter, the person commits a misdemeanor of the first degree"
DRUG2103 is one of the most commonly charged offenses in Tampa and Hillsborough County, Florida. 893.13.6(b) If the offense is the possession of not more than 20 grams of cannabis, as defined in this chapter, the person commits a misdemeanor of the first degree, punishable as provided in s. 775.082 or s. 775.083. For the purposes of this subsection, “cannabis” does not include the resin extracted from the plants of the genus Cannabis, or any compound manufacture, salt, derivative, mixture, or preparation of such resin. Possession of more than 20 grams of weed is a felony in Florida. Cops can and do attempt to seize and forfeit motor vehicles used during the alleged crime. Additionally, judges and prosecutors can and do seek suspension of a driver's license for 2 years. In short, Florida drug laws remain harsh for those who do not have a compassionate use medical marijuana card. 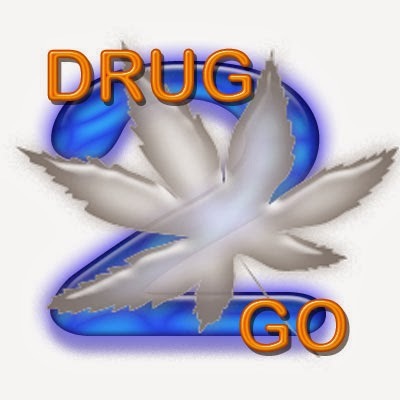 DRUG2102 POSSESSION OF CANNABIS one of the most commonly charged offenses in Hillsborough County, Florida. Can Other Drug Charges be Dropped? There are three main ways to avoid a conviction. Win the case at trial, get the evidence suppressed, or have the case diverted into the Drug Court. Criminal Defense Attorney, Lawyer Casey Ebsary of Tampa helps with, Marijuana and other drug charges that can be dropped. 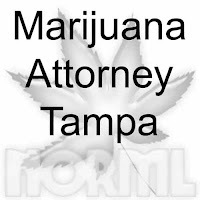 Tampa Bay area marijuana / cannabis defense lawyer W. F. ''Casey'' Ebsary has experience and training as both a drug court Prosecutor and on the defense side helping people navigate treacherous waters when drug charges are at hand. "drug charges result in suspension of Driver's License"
Aside from the drug court, sometimes law enforcement fails to follow the requirements of the Fourth Amendment on Search and Seizure. Courts sometimes suppress evidence and marijuana seized without a valid Search Warrant.The case cannot be prosecuted if key evidence is tossed. An ever-increasing number of drug charges result in suspension of Driver's License. Additionally the penalties are listed below. Any conviction can result driver's license suspension for 6 months to 2 years. "sale or delivery occurring within 1,000 feet of a specified location is punishable by up to 15 years in prison"
* MinMan = Mandatory minimum sentence. Drug2103 Possession Of Cannabis Less Than 20 Grams - First Degree Misdemeanor punishable by 12 months in county jail. 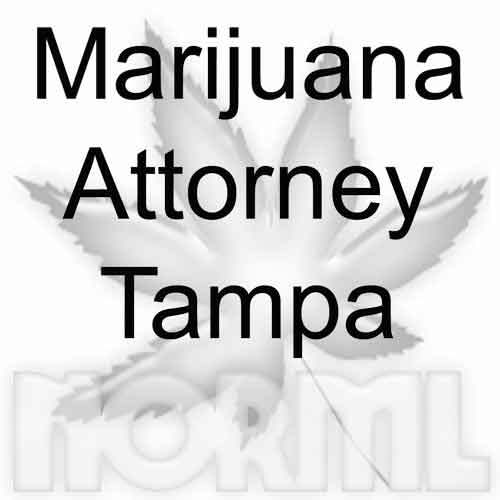 Marijuana Cannabis Charges in Tampa, Hillsborough County, Florida? Florida Drug Defense Attorney Lawyer notes - in a Search and seizure ruling, a Miami - Dade - Florida appeals ruling held it was unreasonable for police officer to perform weapons search without having performed a pat-down. Without reasonable suspicion, cop was not justified in proceeding to direct search of defendant merely because he felt uneasy about his safety, nor could he do so based upon blanket department policy. The Motion: to "suppress the marijuana based upon the unlawfulness of the search, arguing the police had no probable cause or other particularized suspicion to suspect the presence of a weapon." The Ruling: "In the absence of reasonable suspicion, Officer ... was not justified in proceeding to a direct search ... merely because he felt uneasy about his safety, nor could he do so based upon blanket department policy. At minimum, he was required to perform a pat-down." Drugs found in defendant's pocket during illegal search were tossed. The drug charge was Trafficking in Cannabis. When the state failed to prove the defendant's constructive possession of cannabis discovered in a suitcase in trunk of her car during a consent search, the defense got a win. The appeals court ruled there must be independent proof that a defendant in a possession of cannabis case had knowledge of presence of cannabis or had dominion and control over a container found in the trunk of a car. Notably, the suitcase had no fingerprints, had jeans of a size fitting a passenger, and the defense put on unrefuted testimony that she was not in exclusive possession of vehicle, a passenger had keys to vehicle and also had access to the vehicle’s trunk. Even though the defendant had nearly $1,000 in cash, the state failed to show that $939 cash in her possession was in any way connected with trafficking in cannabis. The defendant testified the money was for school . Constructive Possession of Cannabis Questions? Call me Toll Free 1-877-793-9290 . View Adobe Acrobat PDF Copy of Constructive Possession Cannabis Case Here. The defendant "was arrested after the police discovered a suitcase containing cannabis in the trunk of the car she was driving. A jury found her guilty of trafficking in cannabis; possession of a conveyance used for trafficking, sale, or manufacturing of controlled substances; and possession of drug paraphernalia. We reverse because, in this constructive possession case, the State failed to establish [defendant's] knowledge of the presence of the cannabis or her dominion and control over the suitcase containing the cannabis." "The facts of this case are analogous to those in K.A.K. v. State, 885 So. 2d 405 (Fla. 2d DCA 2004). In K.A.K., the juvenile defendant was the driver of a vehicle that contained three passengers and was involved in an automobile accident. 885 So. 2d at 406. When the sheriff's deputy arrived on the scene, he noticed what appeared to be a glass pipe used to smoke drugs on the floorboard of the driver's side. The deputy searched the car's interior and discovered a leafy substance that appeared to be cannabis scattered about the driver's side. In the open glove compartment, the deputy found a box containing rolling papers and tweezers with a burnt tip." "In cases relying on circumstantial evidence, such as this one, the evidence must also exclude any reasonable hypothesis of innocence propounded by the defense. See Pagan, 830 So. 2d at 803. The evidence must "lead 'to a reasonable and moral certainty that the accused and no one else committed the offense charged. It is not sufficient that the facts create a strong probability of, and be consistent with, guilt. They must be inconsistent with innocence.' " Lindsey v. State, 14 So. 3d 211, 215 (Fla. 2009) (quoting Frank v. State, 163 So. 223, 223 (Fla. 1935))." "[E]vidence which furnishes nothing stronger than a suspicion, even though it would tend to justify the suspicion that the defendant committed the crime, is not sufficient to sustain [a] conviction. It is the actual exclusion of the hypothesis of innocence which clothes circumstantial evidence with the force of proof sufficient to convict. Circumstantial evidence which leaves uncertain several hypotheses, any one of which may be sound and some of which may be entirely consistent with innocence, is not adequate to sustain a verdict of guilt. Even though the circumstantial evidence is sufficient to suggest a probability of guilt, it is not thereby adequate to support a conviction if it is likewise consistent with a reasonable hypothesis of innocence." convicted of operating a grow house"
Florida Grow House Defense Attorney in Tampa, Florida, W.F. "Casey" Ebsary, Jr. notes that there have been numerous recent Grow House Busts in Hillsborough, Pinellas, Pasco, and Polk Counties Florida. Some arrests are part of statewide investigations of marijuana grow houses. Generally charges of cultivating marijuana and manufacturing marijuana are filed. Some Grow house Search Warrants are issued after informant, landlord, or anonymous tips. Get professional affordable help from a Florida Grow House Attorney, Former Prosecutor, W.F. "Casey" Ebsary, Jr.,. Casey was an Assistant State Attorney / Prosecutor in the Hillsborough County State Attorney's Office. Practice also covers Hillsborough, Pinellas, Pasco, Citrus, and Hernando County, Florida. Tampa, Florida Grow House Attorney, Casey Ebsary, is Board Certified in Criminal Trial Law by the Florida Bar. Less than one-half of one-percent of Florida's attorneys have qualified for this distinction. Click on the Florida Bar Board Certified Criminal Trial Icon / Symbol above to review Casey's qualifications. W.F. "Casey" Ebsary, Jr. has mastered his skills and earned a Rating of AV Preeminent - the pinnacle of Professional excellence earned through a strenuous Peer review Rating process that is managed and monitored by the world's most trusted resource, Martindale / Lawyers.com. Casey is AV Rated - The ratings body has stated: "AV® Preeminent™ certification mark is a significant rating accomplishment - a testament to the fact that [Casey's] peers rank him at the highest level of professional excellence." This year, despite efforts to legalize, cops continue to bust growhouses. Here are details and a couple of maps of recent targets. There were Two Tampa Bay Area Growhouse Busts in one week. UPDATE: Here is a map of a recent grow house bust in Tampa, Florida. The alleged haul was equipment plus $170,000 worth of cultivated cannibis. Florida Statutes and Rules regarding seized drugs have changed. After seized drug evidence is documented, it may be destroyed. Florida law has harsh penalties for those convicted of operating a grow house. Serious charges an be filed for as few as 25 plants. Florida Drug Law law defines "cultivating" and also prohibits owning, leasing, or possessing place, structure, trailer, or other described place with knowledge that it will be used to manufacture, sell, or traffic in controlled substance. We have seen cases where property owners or landlords turn in tenants to avoid the consequences of a grow house bust in a rented property.Forfeiture provisions can result in the government seizing and selling a property used as a grow house. The Florida grow house statute provides that possession of specified number or more of cannabis plants is prima facie evidence of intent to sell or distribute. Florida law also provides that a person possessing place or conveyance used to manufacture controlled substance for sale distribution commits an enhanced felony if a minor is present or resides there. Florida drug laws allow for equipment used in manufacture to be photographed or videotaped and that photograph or recording can then be used as evidence. Cops can and do destroy the facility and equipment. "videos shot by cops during an actual grow house raid"
Videos from inside a recently-raided Growhouse are below. These videos document Florida Law Enforcement officers' efforts to raid growhouses in Hillsborough County but similar operations are found throughout the Tampa Bay area. These Videos are shot by cops during an actual grow house raid. What About The Florida Cultivation Laws? Recently, the rules regarding seized marijuana changed. Under the Florida Marijuana Grow House Eradication Act Cannabis Law, once the evidence is documented, it can be destroyed. New Florida Cultivation Laws law also dictate harsher penalties for those who are convicted of running a grow house. Previously, growers had only faced serious charges if they cultivated at least 300 plants. After the new law went into effect, the standard was reduced to 25 plants. Cultivation of Marijuana Laws in Florida are tough. Florida has especially harsh marijuana laws when it comes to manufacture of cannabis. Recently law enforcement has targeted grow houses. Florida Statutes Section 893.13 applies to cultivation charges. What About Federal Charges in Cannabis Cultivation Cases? According to one news report from Lakeland in Polk County, Florida, asset forfeiture and prison are a real possibility upon conviction. One federal judge sentenced three Polk County men in Tampa for operating a marijuana grow house network. Each defendant was sentenced to 5 years in federal prison and ordered to pay a total of $41,876 in restitution to the electric companies involved for stolen electricity at five grow houses, according to the United States Attorney's Office. Another grower was sentenced to 10 months in federal prison and his home was also forfeited. In that federal indictment, the charges were conspiracy to manufacture 100 or more marijuana plants. The indictment also alleged the defendants maintained a place for the purpose of manufacturing marijuana plants.